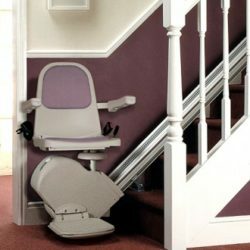 SL600 Pinnacle Premium Stair Lift ⋆ Accessible Homes, Inc. 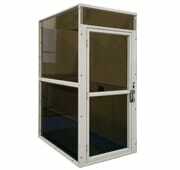 The Pinnacle is the true essence of an affordable and necessary luxury. 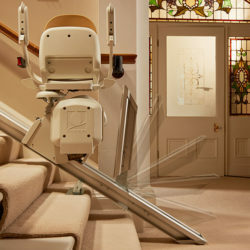 The slimmest and most light-weight stair lift on the market, it folds to take just 10.5” of staircase width. 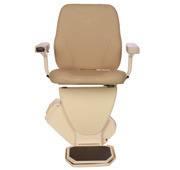 Although exceptionally compact, Pinnacle boasts a 350lb (160 kg) capacity with a wide, comfortable seat that swivels at the top landing to aid in safely entering and exiting the lift. 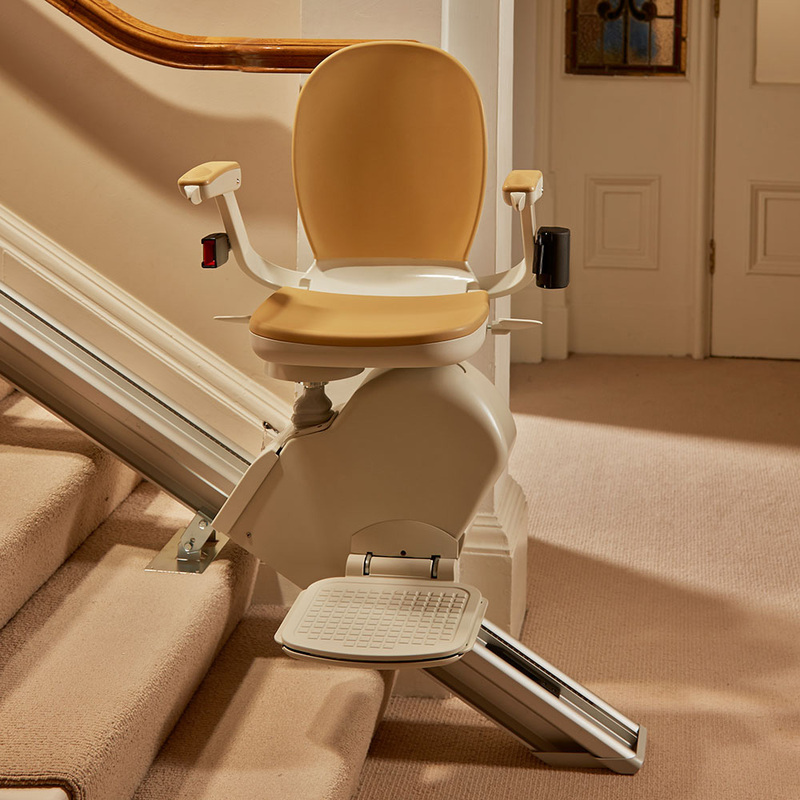 Safety sensors prevent the lift from running if the seat is not in the proper position or if something is blocking the stairway or track. Pinnacle’s patented helical worm gear drive system requires less energy to operate and can make up to 40 trips should the power go out. The unique drive system does not require any messy greases or lubricants! 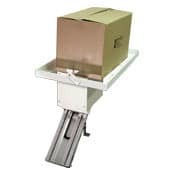 The folding rail option saves space and lessens trip hazards at bottom of the staircase.